»Do You Know That The Hill Station Of Viraatkhai Has Panchalis Even Today? Do You Know That The Hill Station Of Viraatkhai Has Panchalis Even Today? Located in the Jaunsar-Bawar region of Garhwal and at a distance of approximately 70 km from Dehradun, is Viraatkhai. The place showcases one of the best scenic and equally adventurous places for you to be in, if you love the combination of natural beauty and adventurge. Situated on a pass, at an altitude of 1950 m, it overlooks the towns of Dehradun and Mussoorie on one side and the majestic Himalayan peaks on the other. The place gets its name from the king Viraat, who finds his name in the Mahabharata and who helped the Pandavas stay in disguise during the last year of their 13-year exile. It was in this kingdom, where Arjuna disguised himself as Brihannala and where Bhima murdered Kichaka for misbehaving with Draupadi. In the villages here, one would come across a very unique tradition, which the locals call Panchali. According to the tradition, the brothers in the family would marry the same woman just like how Draupadi got married to all the Pandava brothers. Although the villagers in the region practise it in the name of tradition, they also try to find a rationale to this practise by saying that it helps one keep the family together. However, time has changed this practise and the tradition has been getting weaker; but you may still be able to find a few people who would be following the tradition religiously. One can get a bird's-eye view of the towns Dehradun and Mussoorie in the north-east direction which would sweep you off your feet. At the summit of the Viraatkhai peak, one would also get a clear view of the snow-capped Himalayan ranges which begin from the Dhauladhar peaks to Bandarpoonch in the western direction and the Kedar Peak, Sumeri, Swargarohini in the east. The majestic mountains of the place gives out a picture which is straight out of an artist's imagination, the beauty of which cannot be expressed in words. As you go exploring further along the narrow roads, one would be taken away by the panoramic landscapes which bump into you every now and then, which calls for a moment to click a beautiful picture. Viraatkhai is one of the fine examples of experiencing Mother Nature at her best. The place, hence, is a year-round destination, which would covered in various hues and shades throughout the year. However, if you are snow lover, then the best time to visit would be the winters when it undergoes a total transformation; from shades of green to shades of white and cream. By Air: The nearest airport is the Jolly Grant Airport at Dehradun which is located at a distance of 116 km away from here. The airport is well connected to Delhi and a few other airports in the country. By Train: The nearest railway station is located at Dehradun which is located at a distance of 87 km from here. The station is well connected to major towns and cities across the state and to quite a number of them across the country too. 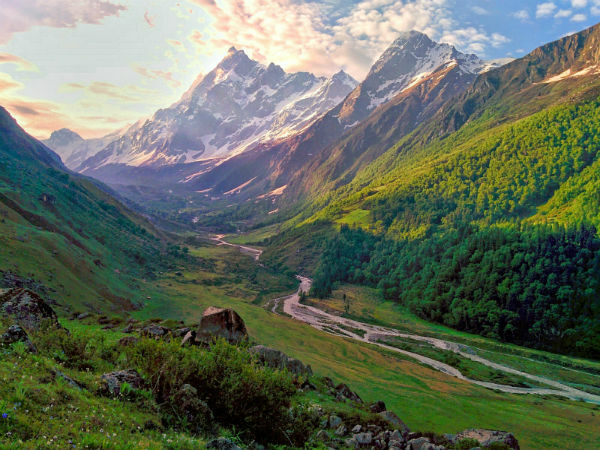 By Road: One of the best ways to reach Viraatkhai is by road as the place is well connected by road transport with regular bus services from Mussoorie, Dehradun, Kashmiri Gate in Delhi and from other towns and cities in the state.